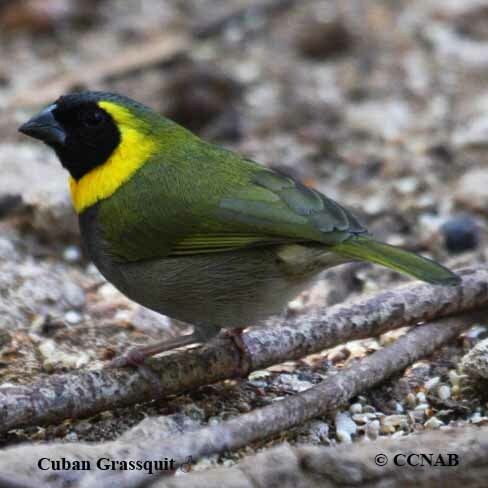 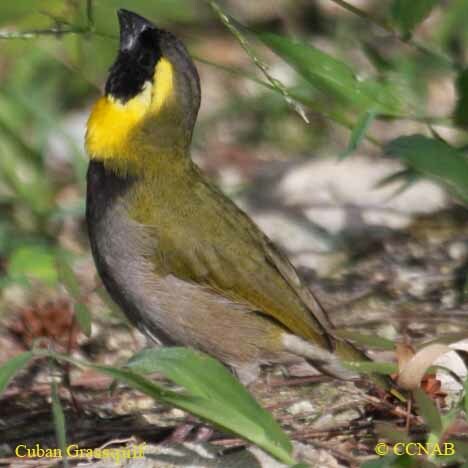 The Cuban Grassquit is a native grassland bird to Cuba. 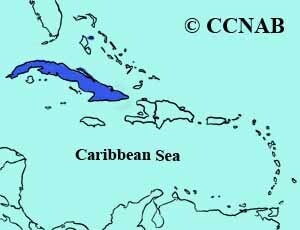 They are also established in the Bahamas on the island of Nassau. 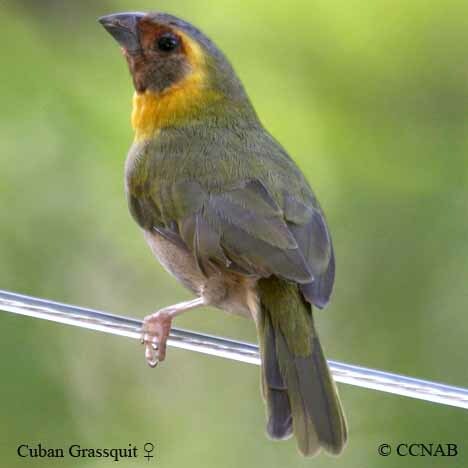 These grassquits have have not been recognized or reported on the North American continent, at least, not officially. 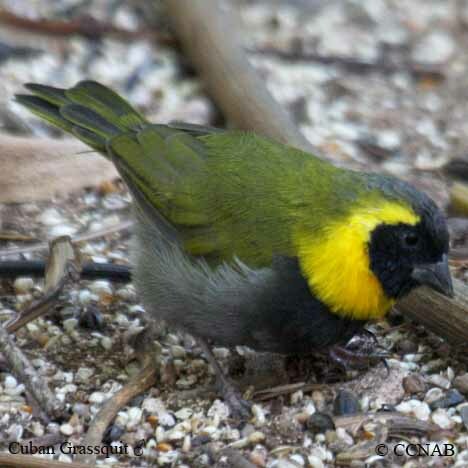 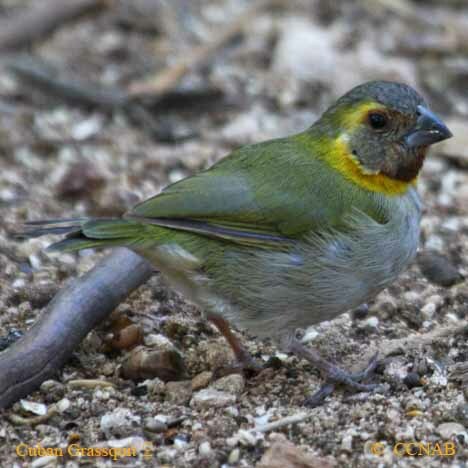 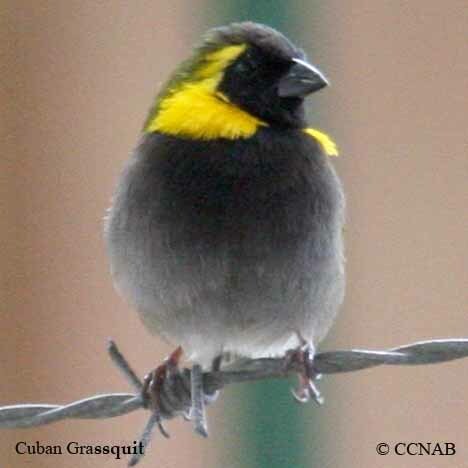 They are similar to the Yellow-faced Grasquit, which has a lesser amount of yellow showing on the male's face.